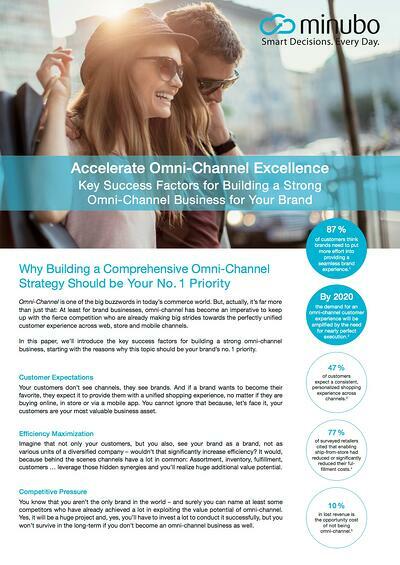 Success Factors for Your Omni-Channel Business – Download our Paper! Omni-Channel is not just one of these big buzzwords commerce organizations are confronted with across all media these days. It's far more than that – especially when it comes to putting your brand ahead of the competition. In our paper we provide you with the most important information about building a strong omni-channel strategy.